The beloved Irish stout is deciding to change the process in which it filters its beer to make it vegan-friendly. The 256-year-old tradition of crafting Guinness stouts is getting a slight tweak in the techniques it uses for the filtration process. Currently, Guinness using isinglass, a product that is made from dried fish bladders. Many beer companies utilize this technique to filter out the liquids that would cause the beer to become cloudy. While these particles do not alter the taste of the beer, they are seen as aesthetically unappealing. Why does Guinness need to filter their beers, you may ask? When the stout is fermenting, yeast absorbs starchy sugars such as barley or wheat to carbonate the liquid and create alcohol (the main reason to drink beer). After the yeast has done its job and absorbed the barley, polyphenols are left to settle at the bottom and cloud the liquid. Naturally, the polyphenols will clear out over time but many breweries will use some sort of filtration system to accelerate the process. This is where finings such as gelatin and isinglass comes in. These products form a barrier between the proteins and leftover yeast that cause the cloudiness in the beer. Trace amounts of isinglass can be found in the beer which would not allow it to be considered a vegan drink. Guinness has been using this process for its 256-year existence but has recently decided to modernize its techniques to accommodate all dietary styles. Guinness hasn’t released what methods it plans to use to make it vegan but has stated that their beers will be completely vegan approved by the end of 2016. 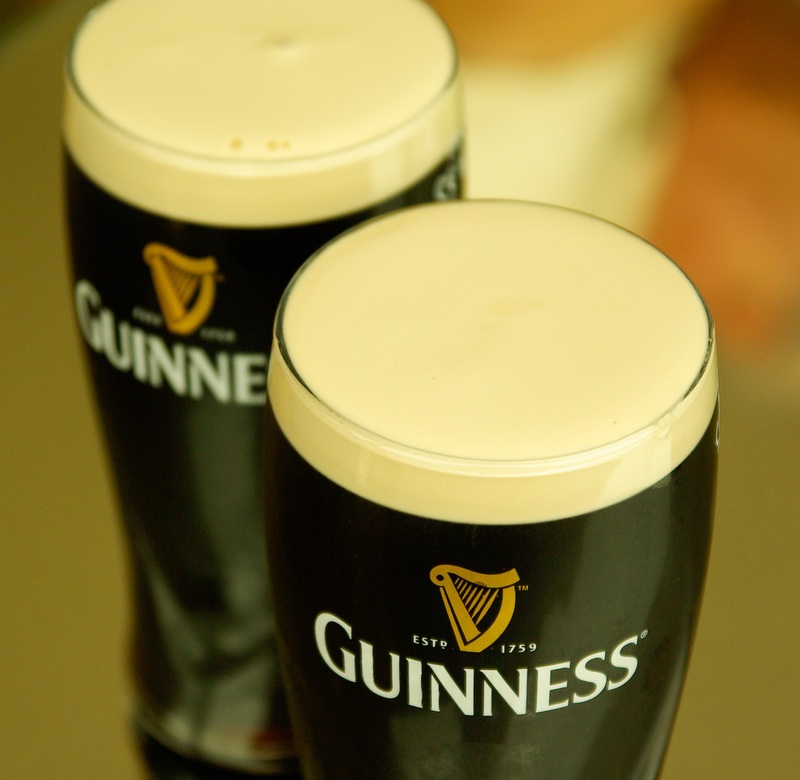 Have a pint of the iconic Irish stout and many more on your Vegas Pub Crawl.